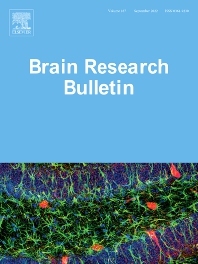 The Brain Research Bulletin (BRB) aims to publish novel work that advances our knowledge of molecular and cellular mechanisms that underlie neural network properties associated with behavior, cognition and other brain functions during neurodevelopment and in the adult. Although clinical research is out of the Journal's scope, the BRB also aims to publish translation research that provides insight into biological mechanisms and processes associated with neurodegeneration mechanisms, neurological diseases and neuropsychiatric disorders. The Journal is especially interested in research using novel methodologies, such as optogenetics, multielectrode array recordings and life imaging in wild-type and genetically-modified animal models, with the goal to advance our understanding of how neurons, glia and networks function in vivo. Manuscripts should use a combination of experimental approaches to address at least two of the general areas aforementioned; research that is exclusively descriptive in nature will not be considered for publication. For example, manuscripts describing changes in RNA or protein expression patterns alone are not appropriate for publication but can be considered if they include experiments that investigate the function of those proteins or how changes in their expression levels may be related to behavior, plasticity or neurotransmission. In addition, studies that exclusive report on the association of genetic polymorphism with disease, but fail to include additional experiments demonstrating alterations in the gene's expression or to address potential biological mechanisms relevant to the disease, will not be viewed favorably by the Journal. Brain Research Bulletin offers simple electronic submission, accelerated peer-review and rapid publication. Section Editors are committed to work closely with authors to provide constructive assistance to enhance visibility and impact of published articles. Brain Research Bulletin encourages authors to use high resolution color in figures to enhance the clarity and impact of their publications. The vast majority of our readership access the journal online and there is no charge for color figures in the online version (html/PDF) of your article.